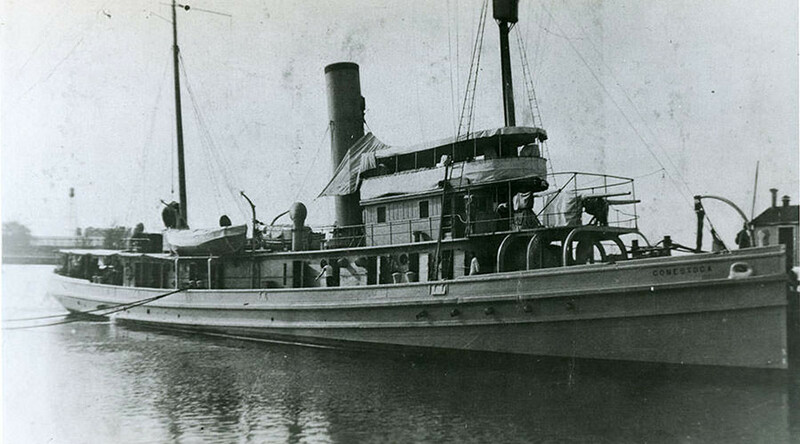 A riddle almost a century old has been solved, as US Navy and government oceanographers tracked down a tugboat that disappeared in 1921 with a crew of 56. The wreck of the USS Conestoga was found near the Farallones Islands, off the coast of California. The Conestoga departed San Francisco on her way to Pearl Harbor, Hawaii on March 25, 1921, and was never heard from again. The 170-foot tugboat, which saw service in the First World War, had just been refitted and upgraded for duty in American Samoa. Conestoga’s disappearance prompted the biggest naval search-and-rescue operation to date at that time. It turned up only a lifeboat with the letter “C” on its bow off Manzanillo, Mexico. The Navy declared the Conestoga and her crew lost in June of 1921. Researchers from the National Oceanic and Atmospheric Administration (NOAA) and the US Navy announced on Wednesday that they had confirmed the identity of a wreck found in the waters of the Greater Farallones National Marine Sanctuary, about 30 miles off the coast. It was the Conestoga – identified by its main forward gun. A research vessel was dispatched to the site in 2014 after NOAA vessels had registered a possible radar hit in 2009. Remotely-operated submarines launched from the RV Fulmar captured video and still imagery of the wreck at a depth of almost 200 feet (60m). The probes revealed “a wreck of some age, festooned with marine life,” according to NOAA investigator James Delgado. 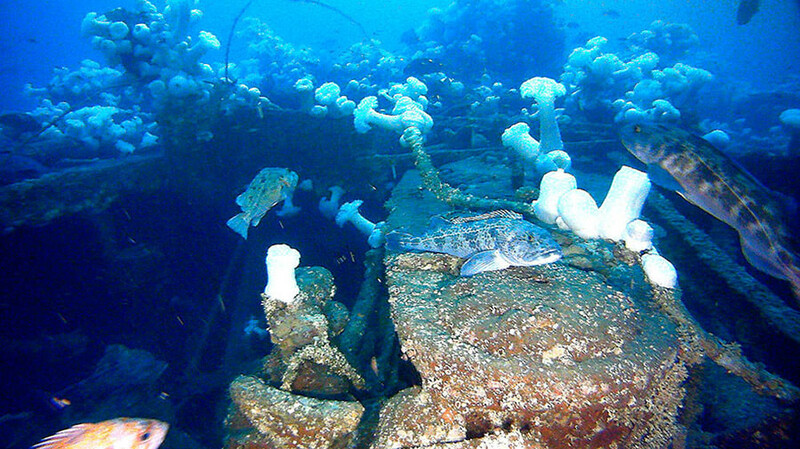 Photos show the hull encrusted with colorful sea anemones and teeming with rockfish, eel, and even octopus. “The wreck is now a place of life, as well as a memorial,” Delgado said. One of the artifacts aboard the wreck was a 3-inch, 50-caliber gun mounted on the forward deck that matched a photograph taken after the Conestoga’s refit, from which researchers were able to positively identify the ship. Delgado and his colleagues believe that the Conestoga ran into foul weather shortly after its departure. The ship tried to reach safe harbor at Southeast Farallon Island, but did not make it.